Jeff Beck, Giorgio Gomelsky, Simon Napier Bell et al. At the end of 1964, celebrated guitar maestro Eric Clapton left the Yardbirds, a band still searching for their first hit. His replacement was a player of very different capabilities - a technical and sonic pioneer who helped propel the group from their former status as a blues covers act to become one of the most innovative and daring musical collectives working in the UK. 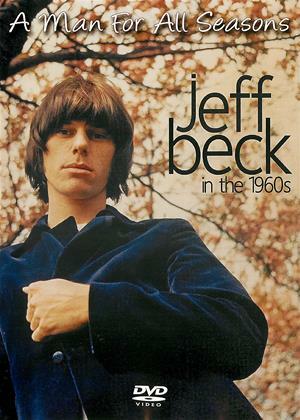 This film traces Jeff Beck's music and career throughout the 1960s - his formative influences and early groups, his work with The Yardbirds, his brief, bizarre reinvention by producer Mickie Most as a solo pop star, and the first, radical incarnation of the Jeff Beck Group, during which he played alongside vocalist Rod Stewart and then bass player Ron Wood. Featuring a plethora of rare performance and studio footage, exclusive interviews, contributions from those who worked with and alongside Jeff during this period and a host of other features, all of which combine to make this documentary - the first yet to singularly focus on Becks career - a legitimate tribute and enthralling history of this often underrated musician, writer and performer. Includes new interviews with: Yardbirds first manager, Giorgio Gomelsky; the man who took over from Gomelsky, colourful music biz impresario, Simon Napier Bell; Jeffs fellow Yardbirds, Jim McCarty and Chris Dreja; musical conspirators from the early 70s, Tim Bogert and Max Middleton; the ever shocking Pamela Des Barres (aka Miss Pamela of The GTOs); legendary music press scribes, Charles Shaar Murray and Chris Welch; Beck's official biographer Martin Power and Uncut Magazine editor, Nigel Williamson.